(CNS): Reefs in the Caribbean region have stopped growing or are already beginning to erode, according to new research. The amount of new carbonate being added by Caribbean coral reefs is now significantly below rates measured over recent geological timescales, and in some habitats is as much as 70% lower. This latest news comes at a time when the Cayman community is still arguing about the Department of Environment’s advice to expand our existing marine parks in an effort to try and save the reefs in our area. The scientists warn that unless greater care is taken of local reefs they will deteriorate considerably, impacting both tourism and fishing. The research was undertaken by reef experts at the University of Queensland (UQ) in Australia and University of Exeter in the UK. The marine scientists explained that coral reefs build their structures by both producing and accumulating calcium carbonate but found a significant decline in our region. Professor Peter Mumby from UQ's School of Biological Science said this could affect millions of people who benefit from reef structures. Coral reefs form some of the planet's most biologically diverse ecosystems, and provide valuable services to humans and wildlife. Their ability to maintain their structures and continue to grow depends on the balance between the addition of new carbonate. This is mostly produced by corals themselves, set against the loss of carbonate through various erosional processes. 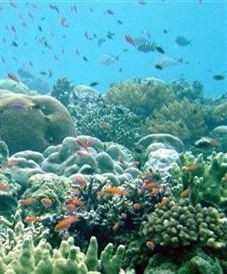 Scientists have long known that reef ecosystems are in decline and that the amount of live coral on reefs is dwindling. This research was published in Nature Communications and is the first evidence that these ecological changes are now also impacting on the growth potential of reefs themselves. Professor Chris Perry said estimates of current rates of reef growth in the Caribbean are extremely alarming. He added that urgent action to improve management of reef habitats is critical to reduce further deterioration of reef habitat. However, here in Cayman the consultation is on-going and the environment minister continues to drag his feet over the need to expand marine parks as a result of complaints from some fishermen about the proposals from the DoE. The planned expansion of the parks drawn up by the DoE was based on scientific evidence and extensive research in the face of the pressing need to try and preserve Cayman’s own reefs and marine habitat. While the reefs around the Cayman Islands are some of the best in the region because of action taken to create protected areas some 25 years ago, the reefs face increasing threats from a variety of climate related problems as well as fishing pressures. If the parks are not expanded the preservation work of the last 25 years could be seriously undermined and Cayman’s reefs could begin to deteriorate as badly as others in the region, reducing their potential for fishing and attraction to divers. I believe that urine and suntan oils from people snorkelling and diving is impacting our reefs. More so then people fishing .In Mexico they have stopped tourists from putting on suntan oil and going in the water from their research. They claim that has hurt corals and fish. Will the DOE give us a report on this question please? They depend on watersports too. So what have reefs ever done for us? Ezzard is that you? I hope this post is being ironic, either that or full ofblind, stupid ignorance. Miller is the Marine Park and reef systems worst enemy, he is totally against conservation and only believes in exploitation. Don't let him destroy our environment for a few 'fishermen'. We all know he won't allow the conservation bill through because it impinges on his attempts to control land, the DoE should stand firm and not be blackmailed by his self interest. Expand the Marine Parks and employ quality enforcement to ensure that they are protected for another 25 years. Not very well phrased though was it, couldn't you manage to make it more intelligible or ironic so everyone else got your diminutive sense of humour? Kind of wasted otherwise, still, you thought it was funny and that's all that really matters. It's called patronising, even bigger word, look it up. By the amount of thumbs down you appear to have attracted, I'd say you failed. Failiure, even bigger word, look it up. Once again I issue a VERY stern warning to our present Govt members and to our upcoming candidates for the next election to put our Environment as one of the top 3 issues on their manifestos.This issue has been messed with,ignored and put on the back burners for far too long and the future of our fragile tourism industry is at stake and well as countless jobs that WILL be lost if we do correct this situation NOW.It will not take much for these visitors(who by the way are now becoming very eco tourism wise)to move on to other places who HAVE realised how important this issue is to their economy so be very careful in how you go about dealing with this topic as our future and the jobs of our futures generations depend on proper Eco Management. Help me here, what can Cayman Government do to stop the big economies from producing co2?! You think the UK or China will grind their economies to a halt? Please. Unfortunately our reefs are at the mercy of a global conglomorate called Capitalisim. Perhapd WSPA should be focused on this! !